For more than 50 years, NORAD and its predecessor, the Continental Air Defense Command (CONAD) have tracked Santa’s flight. 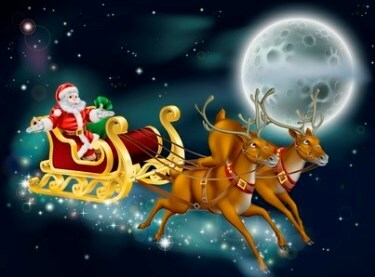 They deploy the latest technologies to track Santa, including radar, satellites SantaCams and jet fighters. You can visit NORAD’s website to download the Santa app to track his progress via a countdown clock, explore Santa’s village in the North Pole, play games and more.